What a fabulous day! 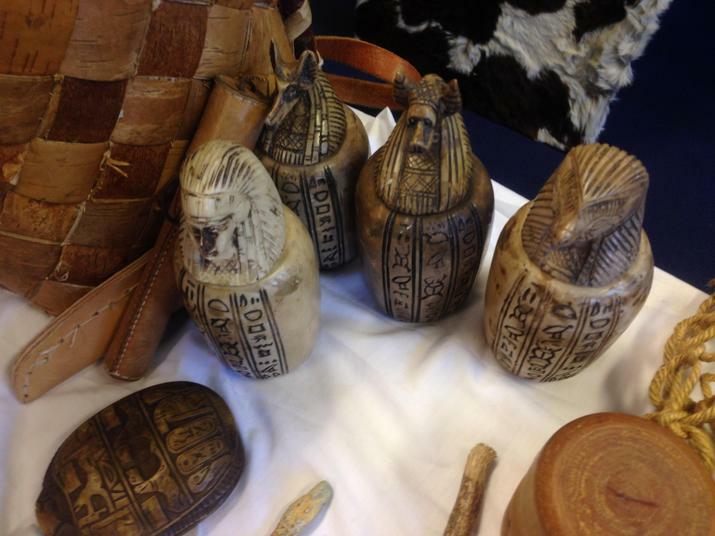 A visitor came for the full day in to Team Phoenix with a whole host of amazing artefacts. 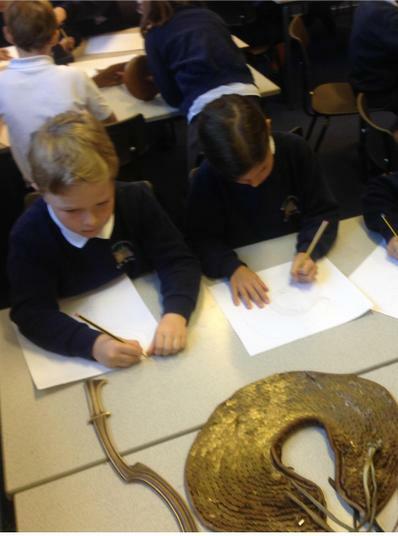 During the morning, the children handled, talked about and drew several of the artefacts, which included a wooden spinning drill, flint, bronze and copper arrow heads, swords and a headrest. 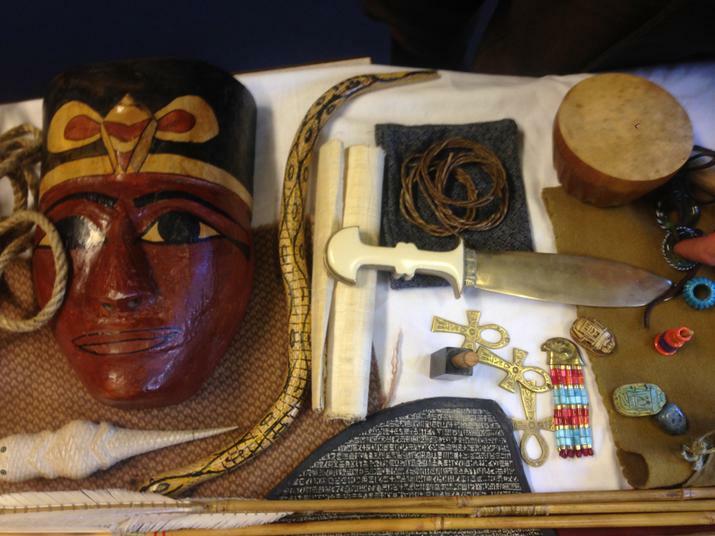 The mummified crocodile raised a few eyebrows after playtime, which lead on to a presentation about the process of mummification. As incense burned, the children watched intently as John demonstrated the pulling out of the brains with a sharp tool through the nose and children took turns to remove the intestines, stomach, heart and lungs. After lunch, every child had the opportunity to dress up with some of the Egyptian armour and hold weapons. They learnt about archers and wrestlers and observed the changes through time of how the weapons were adapted and improved. Seega, an Egyptian game, was a fun way to finish the day. I was absolutely delighted with the children's attention and excellent questions. Well done all!